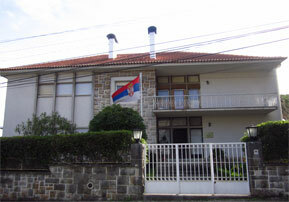 At its meeting of 30 October 2014, the Government of the Republic of Serbia adopted the Decision on visa free entry to the Republic of Serbia for holders of foreign passports having a valid Schengen, UK and other EU member States' visa, or visa of the United States of America, and for holders of foreign passports having residence permit in the countries of the Schengen area, EU or the United States of America, which entered into force on 8 November 2014. Authors' text of Ambassador Oliver Antić in the Public, "The Brexit problem is much more complex than it is thought", April 9, 2019. Authors' text of Ambassador Oliver Antić in the Public, "The Brexit problem is much more complex than it is thought", April 9. 2019. Interview of Ambassador Oliver Antic to the news agency "Lusa", March 13, 2019.